A new app out of Canada, AccessNow, aims to crowdsource the accessibility of communities. Maayan Ziv, a wheelchair user, has made it her life’s work to help others know which places are accessible before going out. I downloaded this app for iPhone to check out what’s going on in Austin. 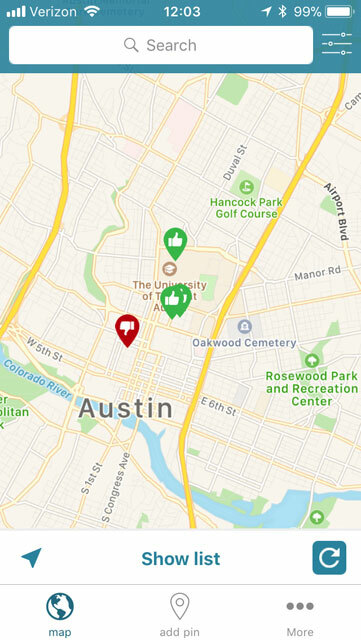 The app doesn’t have many places reviewed here just yet, with only four entries showing up for the Central Austin/UT Campus/Downtown area. 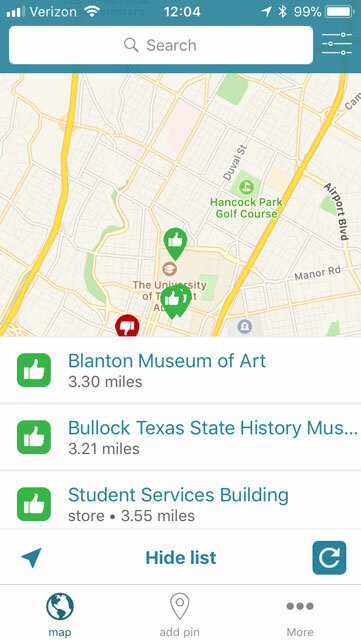 In addition to a searchable map display, the app also has a list view. Icons from a green thumbs up for accessible to a red thumbs down for inaccessible help users know what to expect when experiencing a mobility impairment. Users can outline specific issues in a description. Per the Americans with Disabilities Act of 1990, new construction and any existing construction that undergoes major renovations are supposed to be accessible. 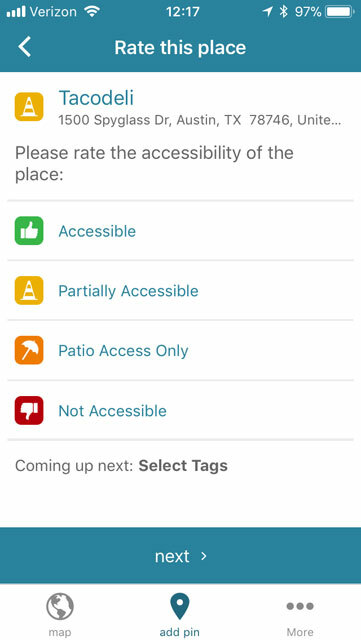 I see how this app would be especially useful for rating those places that were built before the act went into effect. Users who have created an account can add new entries by tapping the ‘add pin’ icon, searching for a place, then entering details. 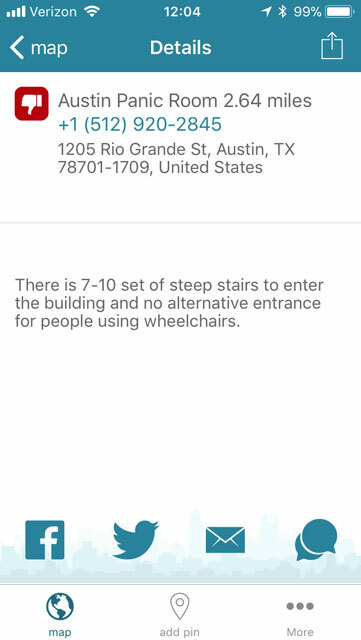 The app provides several tags like accessible parking, automatic door and ramp, as well as an area to type out a description. Learn more from this interview with the creator.